The Vetarans Affairs facility in El Paso, Texas. Should America’s veterans receive health care at hospitals and clinics run by the federal government, as they have for more than a century? Or should they be treated by private doctors and hospitals, with the US Department of Veterans Affairs (VA) picking up the tab? This enormously important question will be discussed, and perhaps decided, at meetings on Monday and Tuesday of the Commission on Care. That’s a federally chartered group that is writing binding recommendations on the future of the VA. If you’ve never heard of the Commission on Care, you’re not alone. Virtually none of the mainstream news outlets have covered its public hearings, which have been going on since the fall. This despite the fact that the VA health care system, with 300,000 employees and a $65 billion budget serving more than 9 million patients, is the federal government’s second largest enterprise after the Department of Defense. 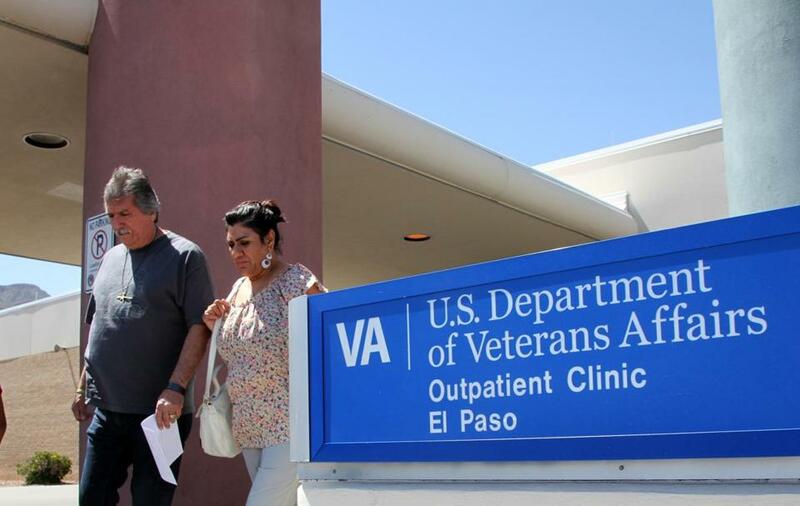 The reason Washington is even considering such a radical restructuring of the VA has to do with widely publicized reports in 2014 that 40 veterans in Phoenix died waiting for first-time appointments with VA doctors. These reports led to bipartisan legislation mandating the creation of the commission. But as investigative journalist Alicia Mundy reveals in the Washington Monthly, the reports turn out to have been baseless allegations cooked up by a Koch brothers-funded group, Concerned Veterans for America (CVA), and key Republicans lawmakers who ideologically favor the outsourcing of VA health care. Soon after the law was passed, the VA’s inspector general’s office published a report based on an exhaustive review of VA patient records. The report concluded that six, not 40, veterans had died experiencing “clinically significant delays” while on waiting lists to see a VA doctor. Of those six, the IG could not confirm that any vets died as a result of waiting for care. (Think of it this way: People die every year waiting in grocery lines, but that doesn’t mean they died because of waiting in grocery lines.) There were certainly problems at some VA facilities. The waiting list numbers were definitely being gamed by VA personnel struggling to keep up with unmeetable performance metrics. The “death wait” allegations, however, were bogus. 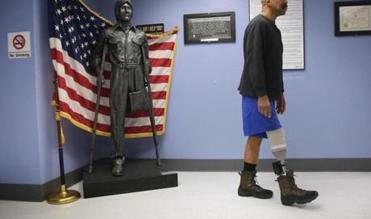 The boilerplate platitudes aren’t enough for veterans struggling to readjust to life back home. But wouldn’t vets receive swifter and better quality care from private hospitals and doctors than from a big bureaucracy like the VA? Actually, no. The law that set up the commission also mandated that $68 million be spent on independent research into the VA’s functioning. The researchers concluded that despite many problems, including plunging morale and a wave of retirements, the VA performed “the same or significantly better” than private sector providers on a wide range of quality measures. They also found that average waits for VA doctors were shorter than wait times for doctors in the private sector. Given all this, you’d think the commission would easily conclude that outsourcing VA health care to the private sector makes no sense. But that’s not how Washington works. It just so happens that four of the 15 members of the commission are executives with major medical centers that stand to gain from the outsourcing of veterans’ care. Another works for CVA, the Koch brothers-backed group, and yet another for an organization allied with CVA. Last month these six commissioners plus a seventh were outed for writing a secret draft of the commission’s recommendations — in which they call for full privatization of the VA by 2035 — in possible violation of the Sunshine and Federal Advisory Committee Acts. This revelation infuriated the other commission members. It also led prominent veterans groups, including the American Legion and Veterans of Foreign Wars, to send a letter to the commission chair slamming the secret draft and expressing their united opposition to privatizing the VA.
Amazingly, none of these traditional veterans groups have seats on the commission. Indeed, a big reason the outsourcing push has gotten as far as it has is that the veterans groups allowed themselves to be sidelined politically. Now, finally, they are fighting back. While they don’t have votes on the commission, the groups do have 5 million members. Several of their leaders will also testify at this week’s commission meetings. So the meeting will likely be an epic showdown between pro- and antiprivatization forces that could profoundly influence the commission’s final recommendations, due out in June. Hopefully, someone from the media will be there to tell us what happened. Paul Glastris is editor in chief of Washington Monthly.